If you’ve been dreaming about a Disney getaway, there’s no better time than now to start your travel planning. 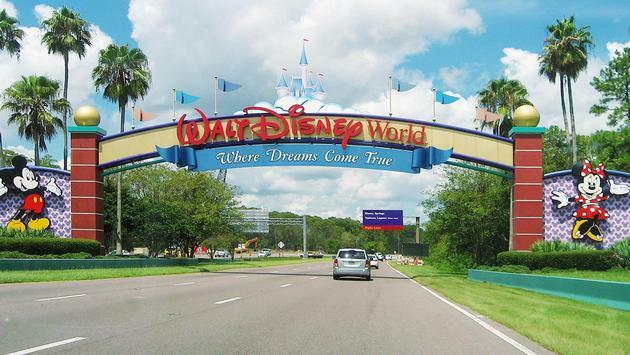 With so many new encounters at all the Walt Disney World Resort parks this summer, which is being dubbed the “Incredible Summer,” the hardest part of planning your getaway might be deciding which park to visit first. If you can’t wait to get to the good stuff, make your first stop Disney’s Hollywood Studios, where the new 11-acre Toy Story Land opens on June 30, 2018. “Shrink” to the size of a toy and explore Andy’s backyard, in such new attractions as the Slinky Dog Dash family coaster and on the Alien Swirling Saucers. Other new park offerings include the Incredible Tomorrowland Expo at the Magic Kingdom Park, where Mrs. Incredible, Mr. Incredible and Frozone take over Tomorrowland to celebrate all things super through September 3, 2018. For music fans, Epcot is where the fun is, with the Guardians of the Galaxy–Awesome Mix Live! Concert Series, through August 19, 2018. Or shoot over to Disney’s Animal Kingdom Theme Park to help celebrate the park’s 20th anniversary this year. One thing is obvious, here. True Disney fans are going to need to spend several days in Central Florida to enjoy all the new offerings. Fortunately, the seven hotels in the Disney Springs Resort Area are offering special “Summer is Incredible” rates packed with extra bonuses for anyone booking a stay from June 15 through September 3, 2018. Ideally located in the Walt Disney World Resort, the seven Disney Springs Resort Area Hotels are an easy walk away from Disney Springs, so guests can easily explore all the brand new venues at the shopping and entertainment complex, which now features more than 130 eateries and shops. Shuttle transportation from the hotels is also available every 30 minutes to all four Walt Disney World Resort Theme Parks, two Disney Water Parks, and at night to the Disney Springs area. Guests with valid theme park admission who stay at the Disney Springs Resort Area Hotels can also enjoy another exclusive benefit, Extra Magic Hours at Walt Disney World Resort Theme Parks. Through June 30, 2018, guests at the Disney Springs Resort Area Hotels can enjoy Extra Magic Hours access to the most popular experiences at Disney’s Animal Kingdom, including the newest attractions in Pandora–The World of Avatar, as well as guest favorites like Expedition Everest and Dinosaur. In July and August, Extra Magic Hours are available at Disney’s Hollywood Studios, including the attractions in the all-new Toy Story Land. Another perk for guests of the seven Disney Springs area hotels includes advance tee times and discounts at all Walt Disney World Resort golf courses; as well as the ability to book advance dining and dinner show reservations for all restaurants across the Walt Disney World Resort. Finally, guests booking “Summer is Incredible” rates will also receive the “2018 Disney Springs Passport” booklet with discounts and specials from Disney Springs merchants such as House of Blues Restaurant & Bar, T-REX Café, Rainforest Café at Disney Springs Marketplace, The Polite Pig, STK Orlando, Wolfgang Puck Express at Disney Springs Marketplace, Ghirardelli Ice Cream & Chocolate Shop and more.